Are You Damaging The Tyres of Your Vehicle? As a vehicle owner, one must be well aware of the different aspects that can cease damage to their car and its components. One must keep in mind that the four tyres of the vehicle are the sole contact with the road surface and thus the condition of the road and the driving habits can leave a direct impact on them. We often tend to ignore our driving habits or the driving conditions, and thus our habits can be a detriment to our own safety because of pure ignorance. It is a big mistake to proper care and maintenance of the tyres. To begin with, one must get aware as to how they can or are damaging the tyres of their vehicle. The age of the tyre, their quality, and the road conditions can impact the condition of the tyre. If there are curbs, sharp objects, potholes or speed bumps on your daily route, then expect faster wear and damage. Extreme temperatures, such as heavy rain, snow or hot temperatures to leave a negative impact on the tyres. Another culprit is driving habits. If you are used to applying emergency brakes, speeding or tend to ignore that noise or vibration, you are in for trouble. Vehicle owners often ignore the road conditions, their driving habits and when something changes in their car. They simply neglect basic tyre maintenance and fail to consult a professional. They do not routinely check for any wear or damage of the tyre and ignore checking the tire pressure or the alignment and rotation of the wheels. All those factors can damage the tyres of the car. Another reason is improper care and storage of the tyre. Drivers do not care much about improper usage and often mix tyre types. They use tyres on damaged or modified wheels, and this can hamper the quality and functioning of the tyres. It is a grave mistake to use the wheel and rim sizes that are not compatible or fitting tyres that do not have a speed capacity. It is seen that vehicles often have tyres with a load index that is lower than those originally specified by the vehicle manufacturer. Rolling around on poorly inflated tires is surely going to increase the risk of a car accident as well as increase your monthly car bills. 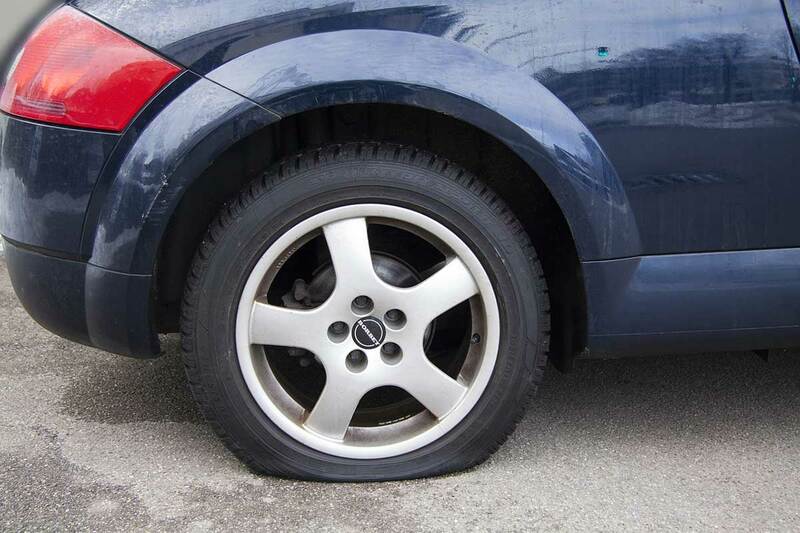 When the tyre pressure isn’t correct, the tyre sidewalls are especially susceptible to damage. Under lower pressure, the internal temperatures of the tyres rise, and all it needs is a little bad bump to cause a blowout. In order to keep your tyres safe and in good condition, just avoid the above-listed mistakes. Keep an eye on the driving condition as well as your driving habits. Inspect your tyres on a regular basis and improve your safety as wells fuel economy. Extend the life of your trues as well as enjoys a better and safe driving experience.